Will the slapping rules of 2018 be changed again? Will some umps call it and other don't. This article is very interesting. How many times were hitters called out on this rule. Should it stay or go? Has Fastpitch gone the way of MLB? Small ball is not as exciting as HRs so lets make slapping harder. I sorta think the slappers did it to themselves. I have seen slappers run at the pitcher and at contact maybe the back foot is still in the box. Many times both feet out of the box or at least back foot off the ground and front foot 3 feet outside the box. What if a power hitter has her foot out of the box at contact? Rules should apply to both styles of hitters. 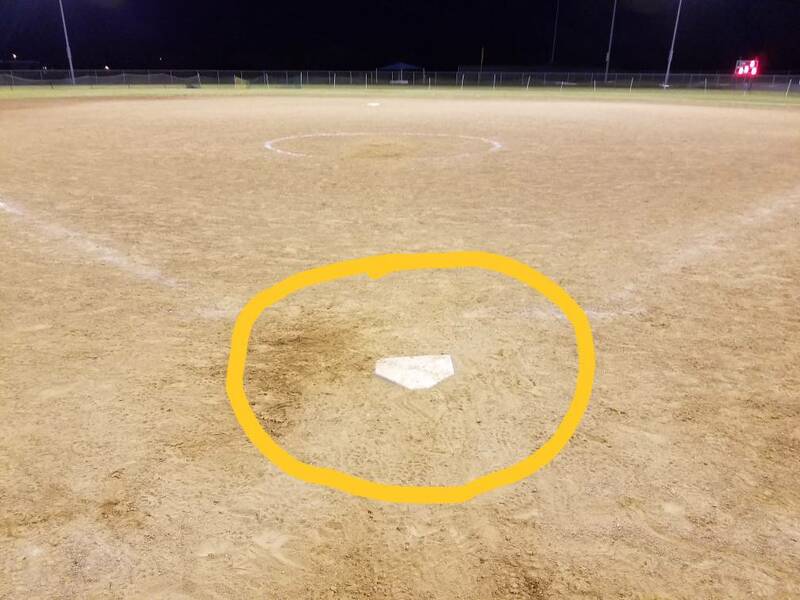 I have seen slappers that step in front of the plate and I think those are pretty obvious, but other times the umpire has to be focused on that front foot. I wrote this without reading the article. I will hit submit, then read. LOL! After I read it, I feel as though those slappers are a bit whiny. They already have a running start why give them more of an advantage. Learn to stay in the box. The conditions for slapper aren't always ideal. 6 games with no re-chalking for Fastpitch. 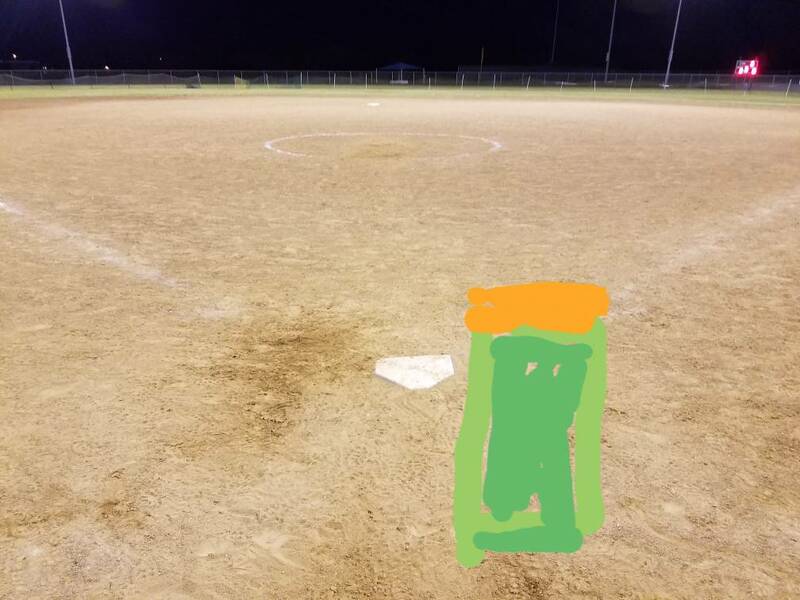 Only the Baseball fields get chalk after each game. Oklahoma facility shown. I think they should have the normal box except the front of the box chalk should extend 12" from the front inside portion of the box. You can see a clear foot print. This brings back the slapping ability of players. I personally really like the element of small ball in the game of fastpitch. I liked the old rule more where as long as any part of the foot is on the chalk it is considered legal. I thought it was standard practice to have the chalk lines wiped away by the end of the first inning. This rule and it being called or not called is a big deal to the 16 y/o trying to get into college. If your in a place where umps are calling it and your BA goes down 75 points it could cause concern. Watch this video. Skip ahead to the 1.10 mark.